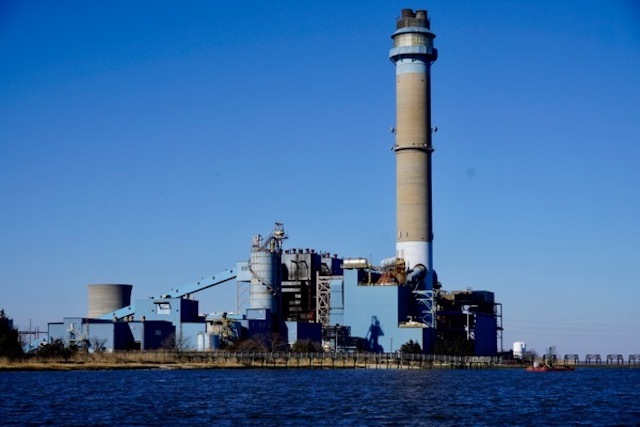 Did the BL England Power Plant Kill Wayne Barrett? Wayne Barrett died last week, just one day before the Trump Inaugural. A rare lung disease killed him, but I suspect the Trump chaos had some impact. But Wayne also had New Jersey connections – he owned a summer home on the shore in Beesley’s Point. I met Wayne in early 2014 – he called me out of the blue and wanted to pick my brain about regulatory issues and the players involved in the BL England re-powering project. At the time, I was unaware of who he was or his line of work. Wayne told me he read Wolfenotes, praised my work, and wanted to followup on stuff I’d written about BL England. We hit it off and had 3 extended phone conversations. He had incredible knowledge of NY politics and asked detailed questions, including who the players were and technical questions about regulatory issues and copies of the source documents (which reporters almost never do). I wrote about all that in this March 30, 2014 post. The investigative story I contributed to was Wayne expose’ of the BL England plant and Pinelands pipeline. That piece was aptly titled “Governor Christie’s Polluting Belch”. I live with questions about whether its fine-particle soot — high in sulfur dioxide and nitrogen oxides — has anything to do with why a lifelong nonsmoker and runner like me wound up with a lung affliction that has me on oxygen today, after making it through lung-cancer surgery last year. But it’s the deal, not the plant, that makes me sick. Connections compromised public safety once again — this time where I live and, unfortunately, breathe. Of course you won’t read about any of this in the NY Times – but I have tried to get a few of NJ’s veteran reporters to write about it. I won’t hold my breath waiting for that, however. This is a haunting vision I can’t seem to shake, especially as Trump and his hate driven evangelical Christian fascist supporters attack Muslims and other immigrants. So for those, like me, who are in some funk of shock and feeling in despair, listen to Naomi Klein for a path forward. The Pinelands Commission knowingly and intentionally scheduled a sham “public hearing” – which legally in fact was NOT a public hearing– on the South Jersey Gas pipeline last Tuesday at a venue that they knew was too small and would not accommodate the interested public. The Commission was warned about this well before the hearing and ignored those warnings. Additionally, a prior DEP public hearing on related pipeline permits also was forced to be cancelled due to a huge crowd that turned out to speak. The Commission ignored DEP’s mistake as well. 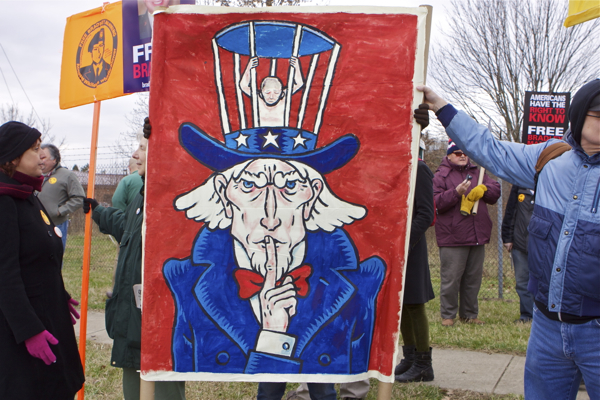 As a result, over 100 people were unable to attend the “public hearing”, dozens more stood for hours in freezing rain to testify – as warm and dry paid union hacks held seats for hours – and many people left after the doors were closed at 9:15 am (15 minutes BEFORE the scheduled start of the meeting). This abuse was not lost on the press, who made the abuse a focal point of their coverage. In response to the public outcry – “this is a sham, shut it down“- and threats of another round of lawsuits for denying basic due process rights, the Commission just announced an extension of the written public comment period until February 8, 2017. The extension is a meaningless gesture that does not remedy the fatal flaw. First of all, the Commission meets on February 10, 2017, where they may vote to approve the SJG pipeline project. An extension until just 2 days before that hearing provides insufficient time for Pinelands Staff and Commissioners to consider and respond to public comments. Second, the opportunity to submit written comments in a written comment period is not the same as attendance and testimony at an open public hearing. It’s like the difference between listening to the radio in your car versus attending a concert. One is a private individual act, the other a collective, live experience. At a public hearing, citizens collectively meet to participate in a democratic process. 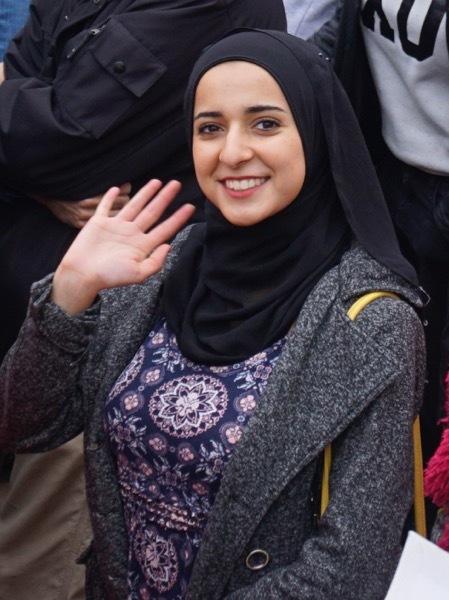 They can talk with their fellow citizens, share concerns, organize resistance, and listen to each other speak. None of that happens in a written comment process. 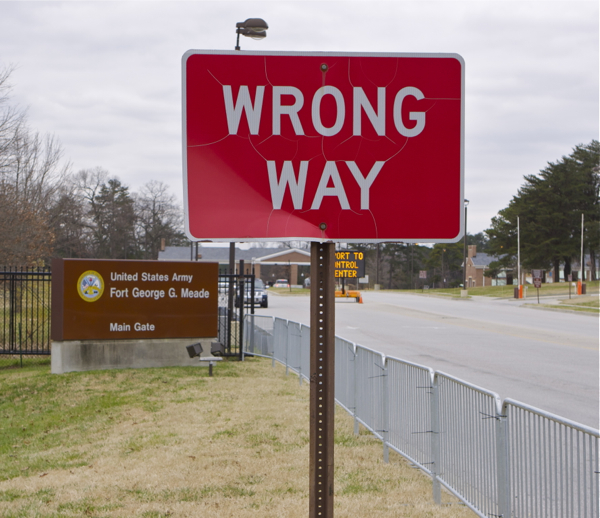 So, don’t be fooled by this latest cynical maneuver by the Commission’s Executive Director. It is designed to frustrate litigation and create the false impression that the Commission is responsive to public concerns. Let me begin by saying that you should be ashamed of yourself for how you knowingly and arrogantly abused, frustrated, and limited the due process rights of hundreds of people to participate and submit testimony at the Jan. 24 public meeting of the Commission on the SJG pipeline application. I arrived at 9:15 am and while looking for parking saw scores of people walking back to their cars. When I stopped to ask why, I was told that there were over 100 people outside the hearing room who were not being allowed inside because the room was at fire code capacity. These people are denied their due process rights. On that basis alone you must reschedule and hold an additional public hearing. I stood in the freezing rain with well over 100 other people for over 3 hours and was not able to testify. Drenched to the bone and freezing cold, I was forced to leave. The Commission was repeatedly warned that this venue lacked adequate capacity – these warnings were ignored. The Commission repeated the mistakes of the DEP who scheduled a hearing at the Ramada Inn in Bordentown that lacked capacity to accommodate 500 people in the overflowing crowd. But at least DEP was smart enough to cancel and reschedule that public hearing. Today’s fiasco was predicted and avoidable – the Commission ignored warnings and intentionally chose to limit public rights. The Commission refused to reschedule the hearing, despite the outrageous situation of hundreds of people standing outside in the freezing rain. 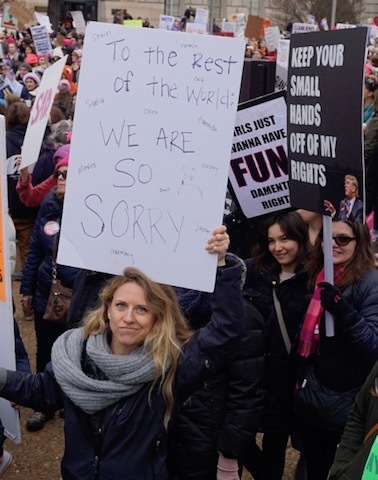 We are by no means trying to “normalize” Trump, but as we – cough, cough, “lace up our boots” – for the trip to DC to protest the Trump Inaugural, we are hearing echoes of days gone by. 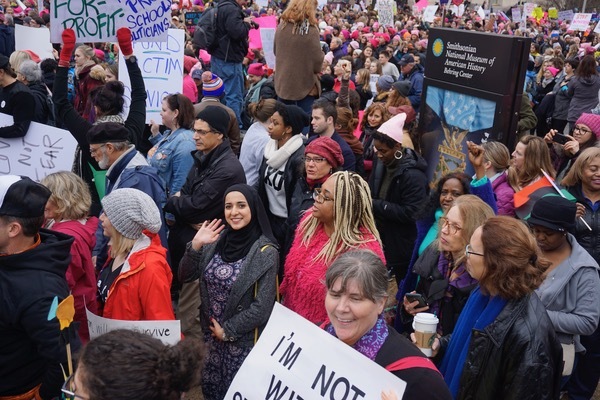 Protest Groups to Be Pushed Far Away from Trump Inauguration – According to the National Lawyers Guild, crowd control tactics outlined in a manual by the Center for Domestic Preparedness can include preemptive arrests. Trump is winning the visual propaganda war. Bill Wolfe, 47, who made his way from Ringoes, N.J., to protest the inauguration, took one hour to go 50 feet in line, and when he got through expressed his anger with the entry procedures. “They got us compartmentalized like rats in a cage,” he said, gesturing to the line of shoulder-to-shoulder police officers who far outnumbered the spectators at 11:00 am when thousands were still waiting to get through security. “They got us compartmentalized like rats in a cage,” said Bill Wolfe, 47, who came from Ringoes, N.J., carrying a “War Mongers” sign. Mr. Wolfe looked at the shoulder-to-shoulder wall of police officers, blocking his way as he inched along. “You don’t need a ticket for democracy, folks,” he hollered, to no one in particular. We are not afraid, but we would be foolish not to expect violence. We strongly doubt we’ll get the money quotes again in 2 NY Times page one stories, but we’ll keep you posted. Obama listened to the many voices of conscience and commuted the 35 year sentence of Chelsea Manning to 7 years served. Great work by the thousands of people who made this happen. 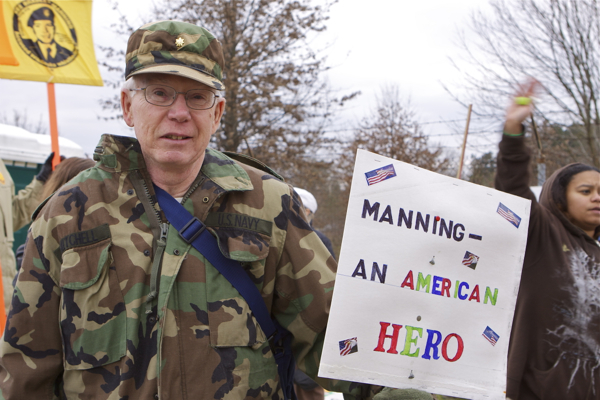 Manning is a hero and person of highest integrity and courage. Although you are not likely to read about it in the mainstream media, let’s not forget exactly what he revealed – watch the video “Collateral Murder” to refresh your memory. 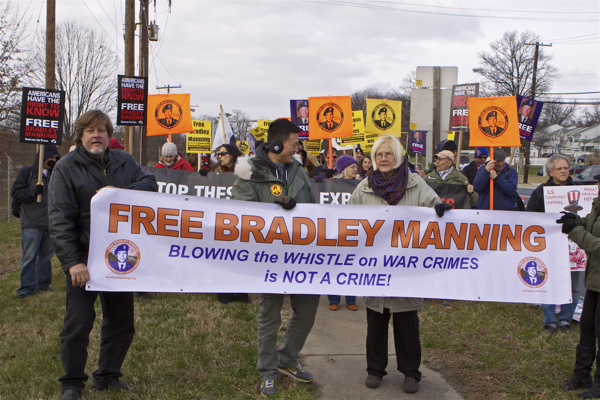 Manning engaged in classic whistleblowing of US war crimes and atrocities and should never have served a day in prison. 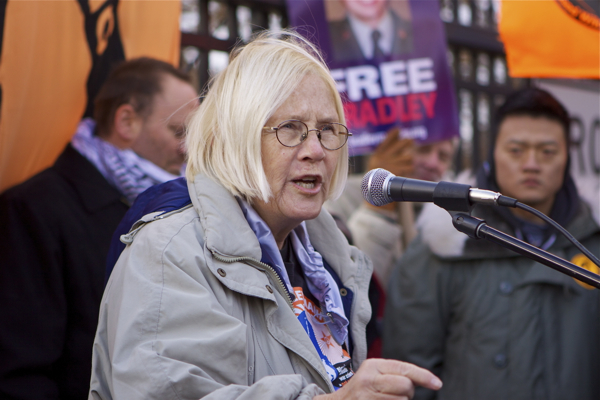 On Friday, the [Article 32] military trial of Bradley Manning began – he is the solider accused of blowing the whistle on US military war crimes (e.g. the video tape of the US helicopter slaughter in Iraq, infamously known as “Collateral Murder” – over 12 million hits). Manning also is accused of downloading and providing more than 200,000 other secret documents on the Iraq and Afghanistan wars and State Department diplomatic cables to Wikileaks. 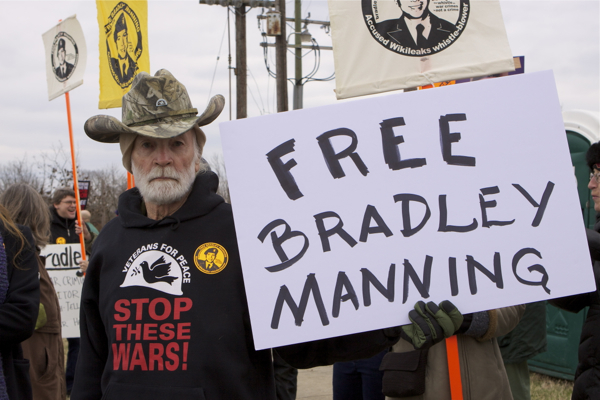 Manning has been held for 19 months, at times in solitary confinement and subject to psychological abuse, that some argue itself was a war crime. 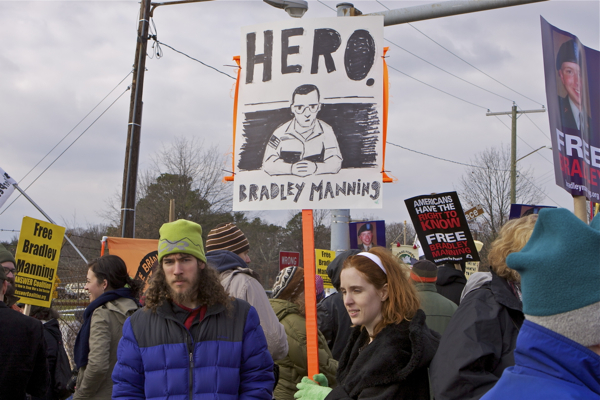 From what I have read about the case, Manning is a classic whistleblower and hero. He was loyal to the truth and his sworn oath to uphold the Constitution, not obey and protect the military chain of command. He upheld the highest ethical standards and honored the US military code of conduct. When he witnessed evidence of war crimes and other wrongdoing, he acted to disclose it, at great risk to himself. He is alleged to have supplied the information to Wikileaks, whose disclosures have changed the world. 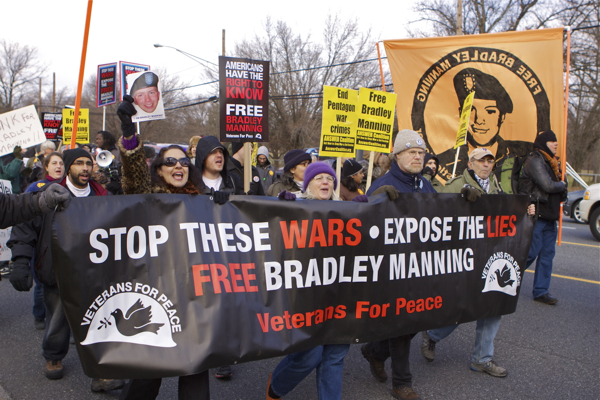 Famous Vietnam War Pentagon Papers whistleblower Daniel Ellsberg has praised Manning. 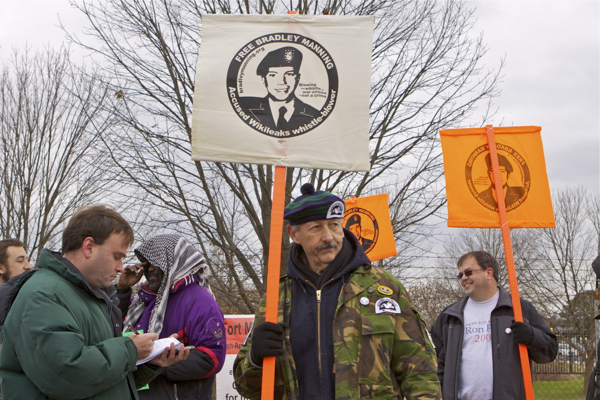 His case raises significant First Amendment issues (see this for excellent discussion). He should get medals, not jail time. 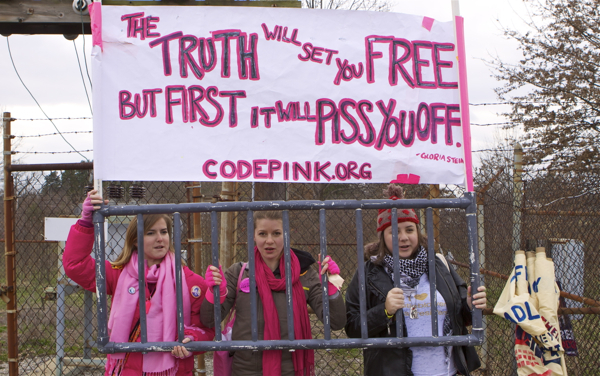 I went down to Fort Meade (Maryland) to support Manning and attend a protest as the second day of the pre-trial hearings. 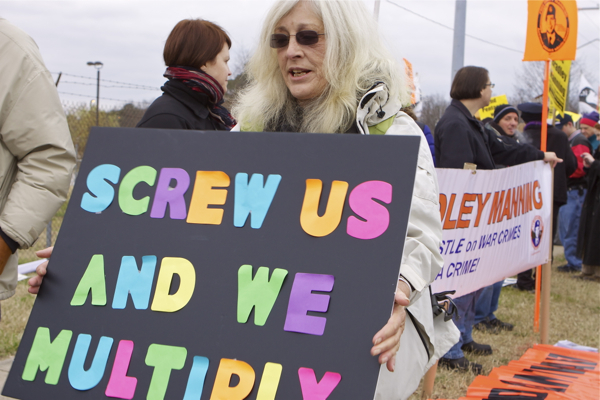 It was a brisk cloudy day – and the turnout was small, about 300. 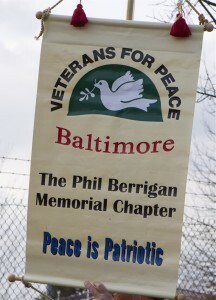 Unfortunately, two of my heroes, Daniel Ellsberg and Ray McGovern, could not make it. Although many people I talked to thought the police response was excessive, it was far less numerous and hostile that the response I’ve seen in NY at Occupy Wall Street.